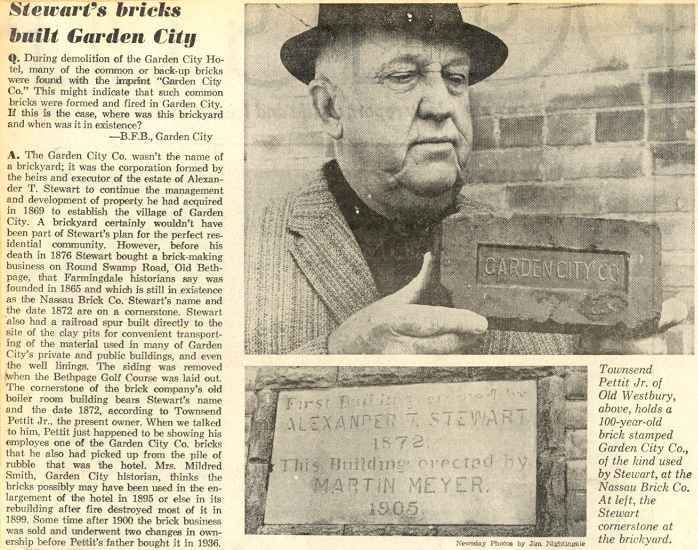 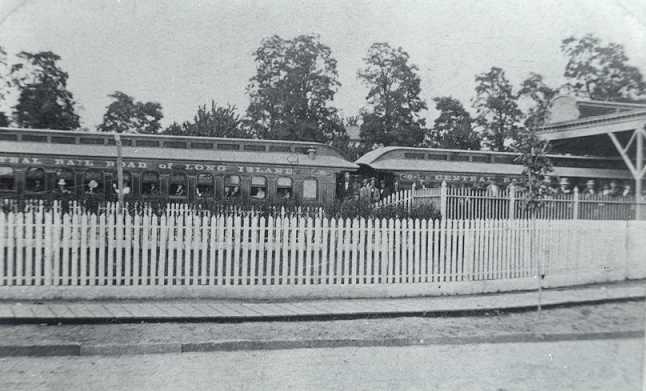 THE CENTRAL RAIL ROAD OF LONG ISLAND WAS BUILT BY ALEXANDER T. STEWART TO PROVIDE PASSENGER SERVICE TO GARDEN CITY AND ACCESS TO THE BRICK YARD AT BETHPAGE. 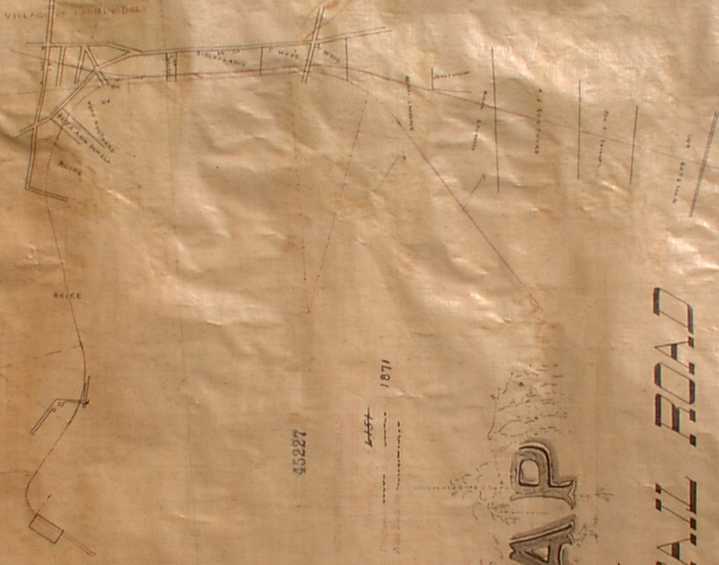 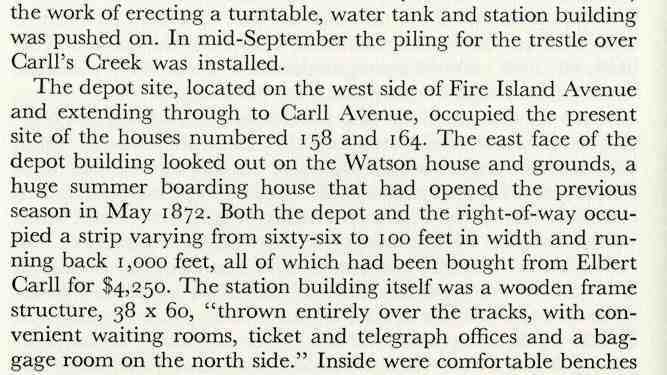 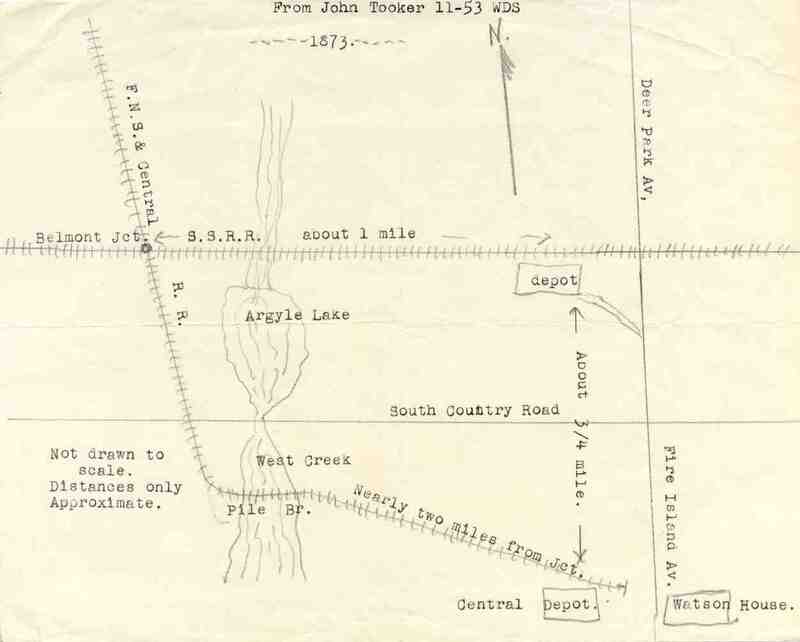 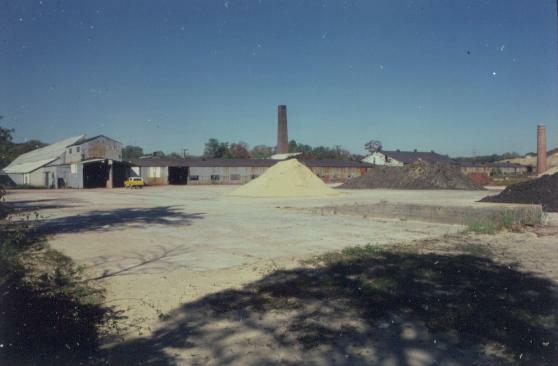 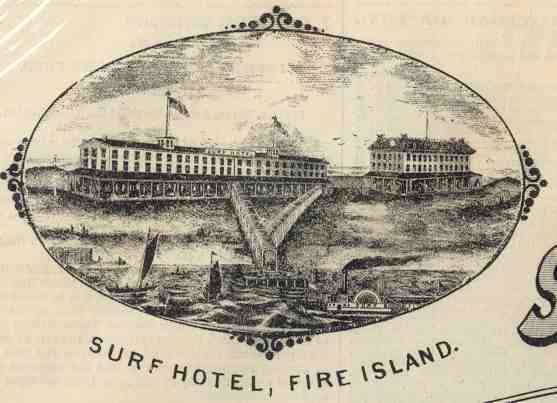 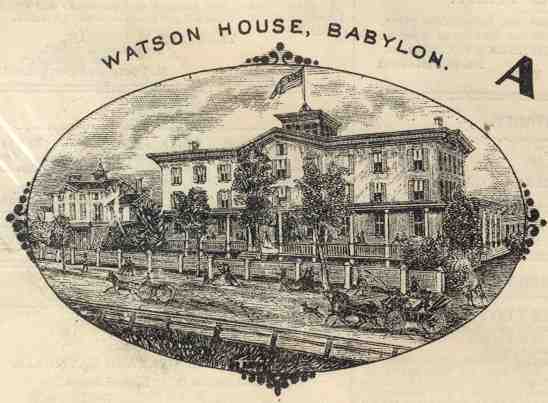 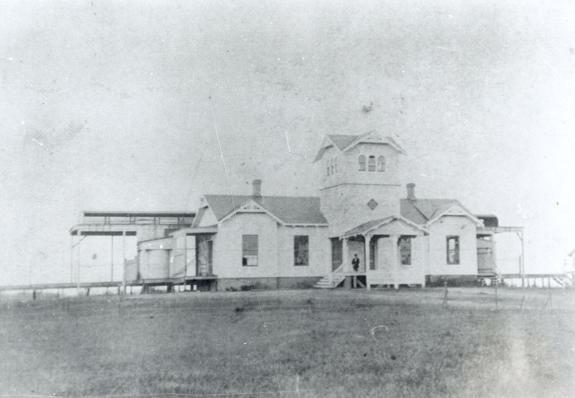 THE CENTRAL RAIL ROAD EXTENSION WAS BUILT TO TAP THE FIRE ISLAND TOURIST TRADE AND PROVIDE SERVICE TO BRESLAU AND BABYLON. 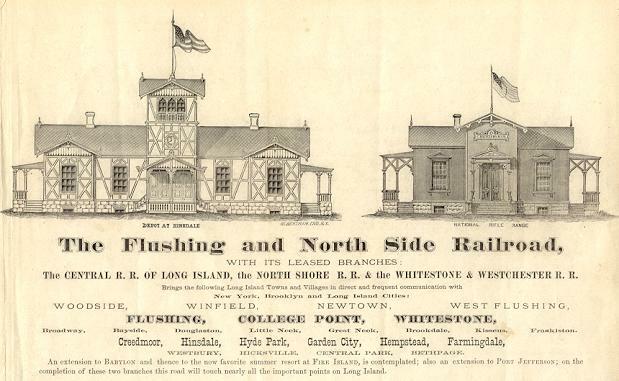 BOTH LINES WERE OPERATED BY AND AS PART OF THE FLUSHING AND NORTH SIDE RAIL ROAD. 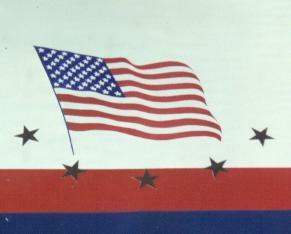 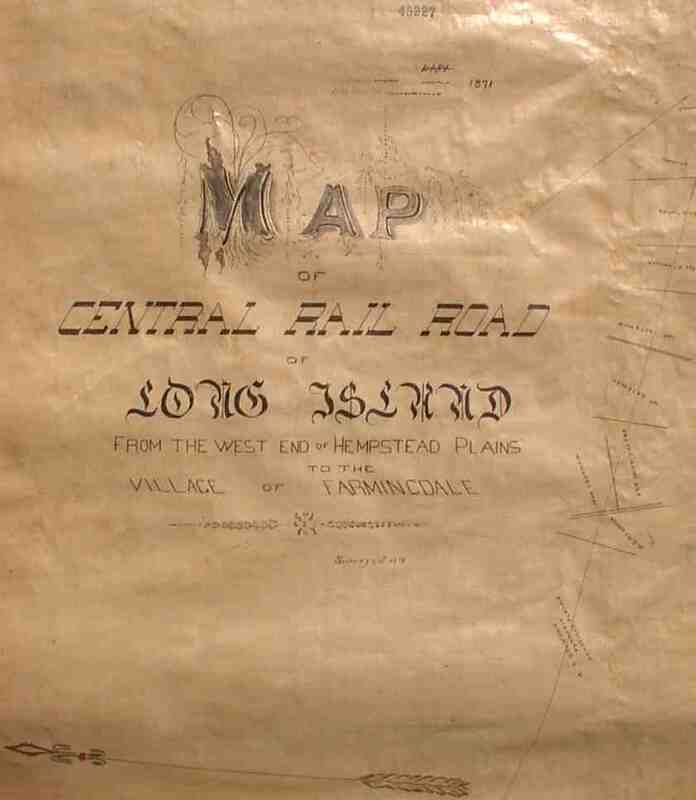 go to ----> CAMP BLACK - W.W.I. 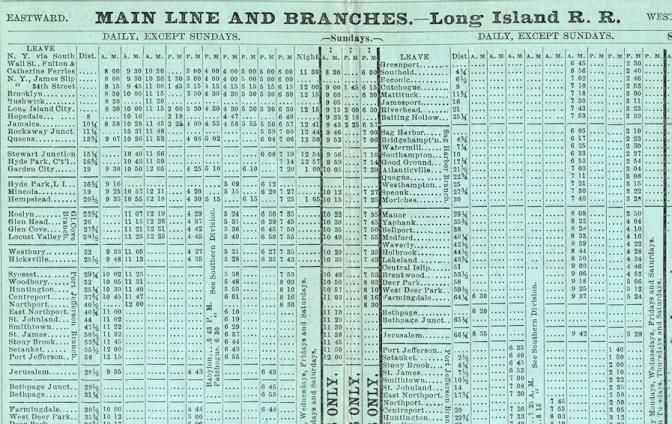 FOR THE LINE FROM BELMONT JUNCTION TO BABYLON HARBOR. 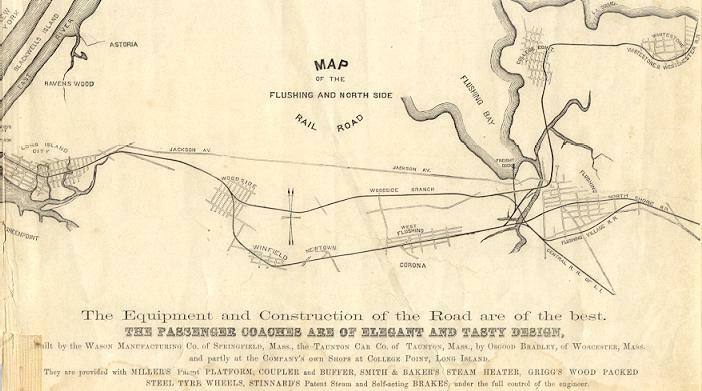 "THE PASSENGER COACHES ARE OF ELEGANT AND TASTY DESIGN." 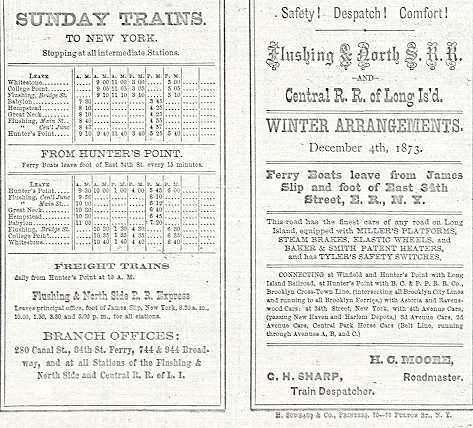 NOVEMBER 12, 1874 LONG ISLAND TIMES SHOWS ONE DAILY ROUND TRIP TO BETHPAGE. 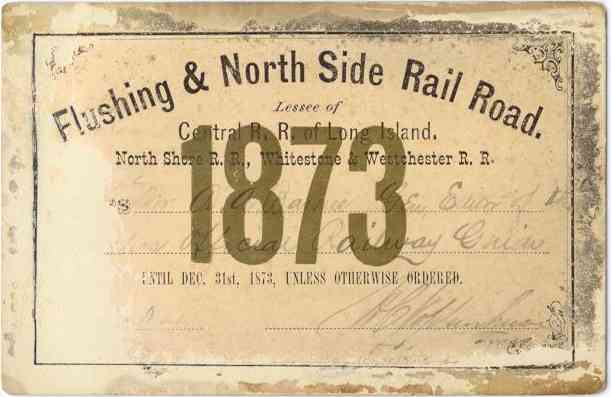 JUNE 4, 1874 ISSUE DOES NOT. 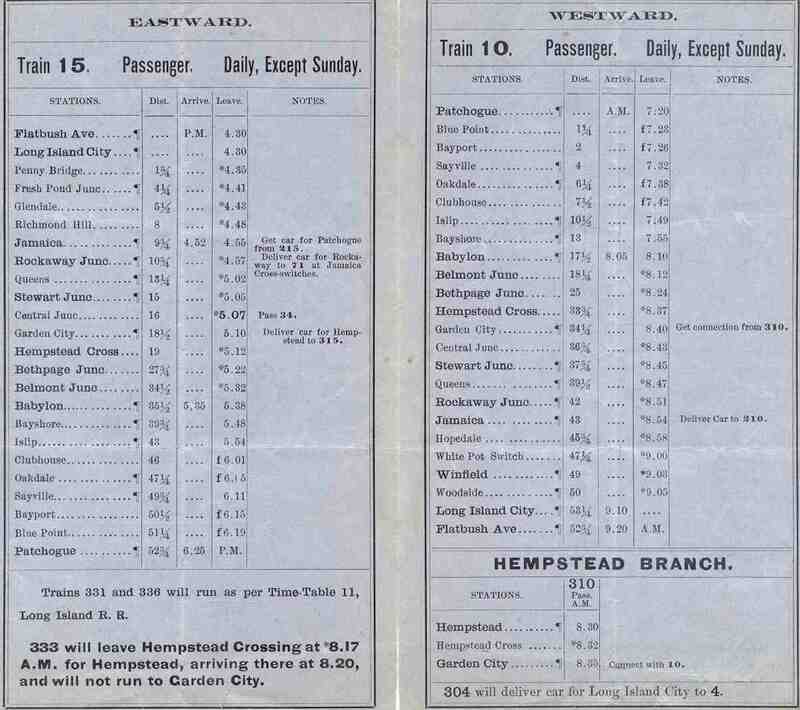 AT BETHPAGE JUNCTION WITH GREENPORT TO EAST NEW YORK TRAINS VIA MAIN LINE. 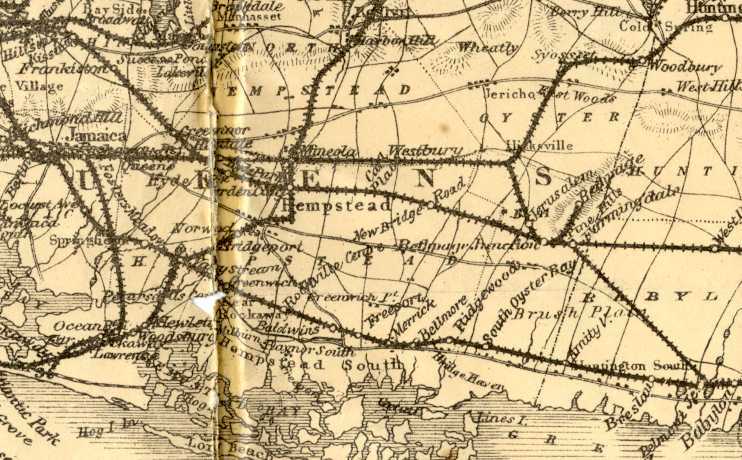 FARMINGDALE WHICH REQUIRED A REVERSE MOVE AT BETHPAGE JUNCTION. 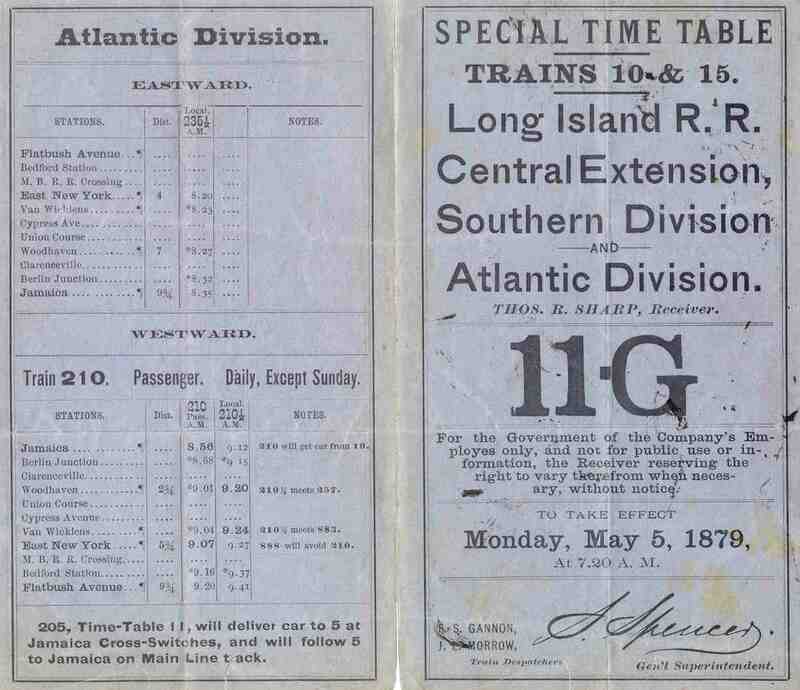 MAY 5, 1879 SPECIAL TIMETABLE 11-G. 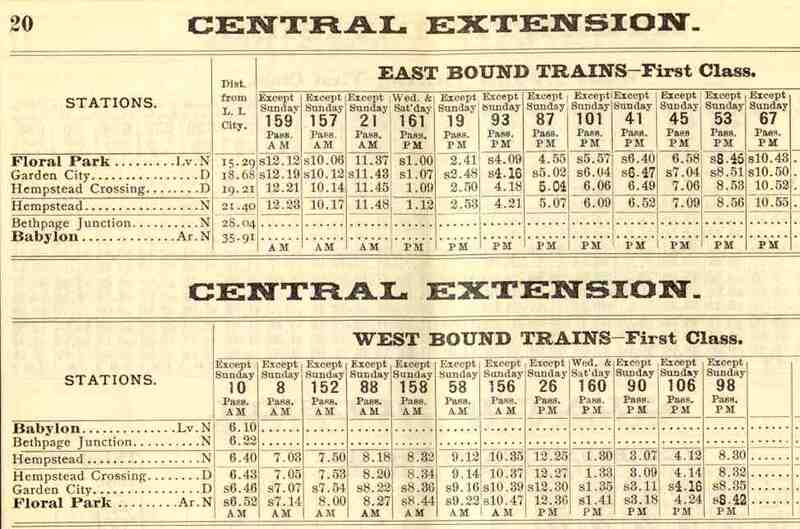 BOTH SHOW GREENPORT, LAKELAND AND PATCHOGUE TRAINS USING STEWART LINE. 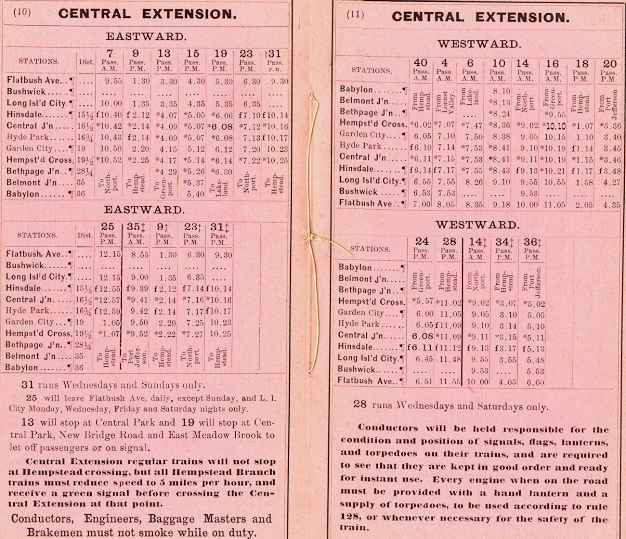 1880 TABLE SHOWS "DERRY NANE" PASSING SIDING, PERHAPS LATER "MAYWOOD SIDING". 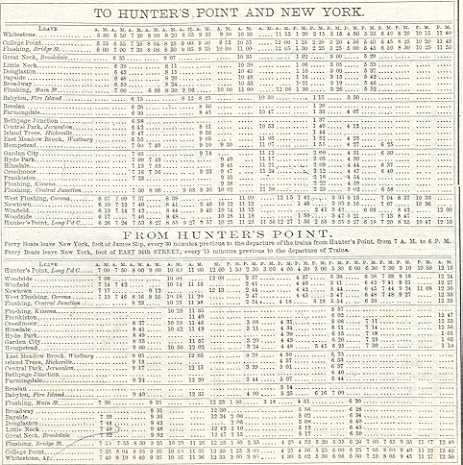 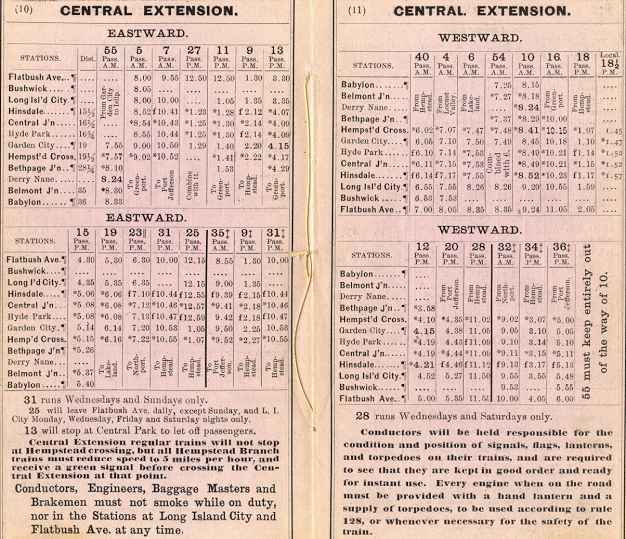 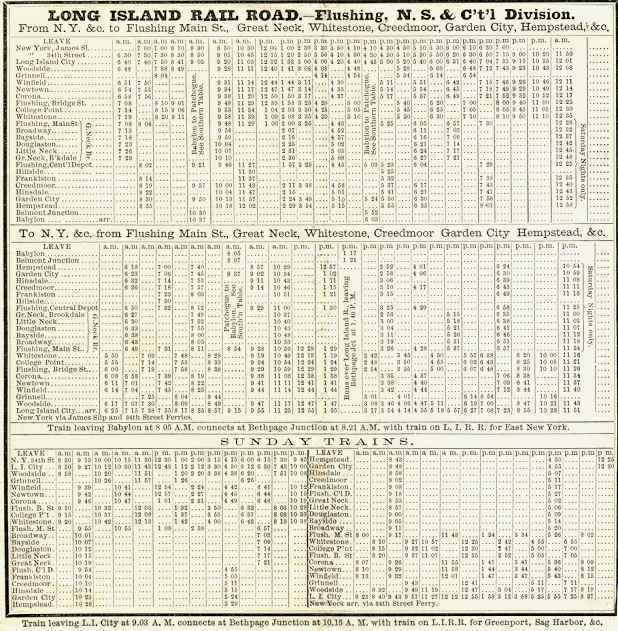 LONG ISLAND RAIL ROAD EMPLOYE TIMETABLE NUMBER ONE, 1896. 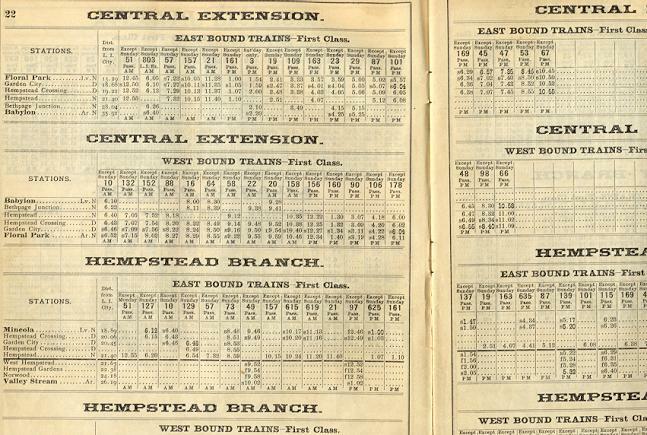 NO TRAINS RUNNING VIA ISLAND TREES AND MEADOW BROOK.